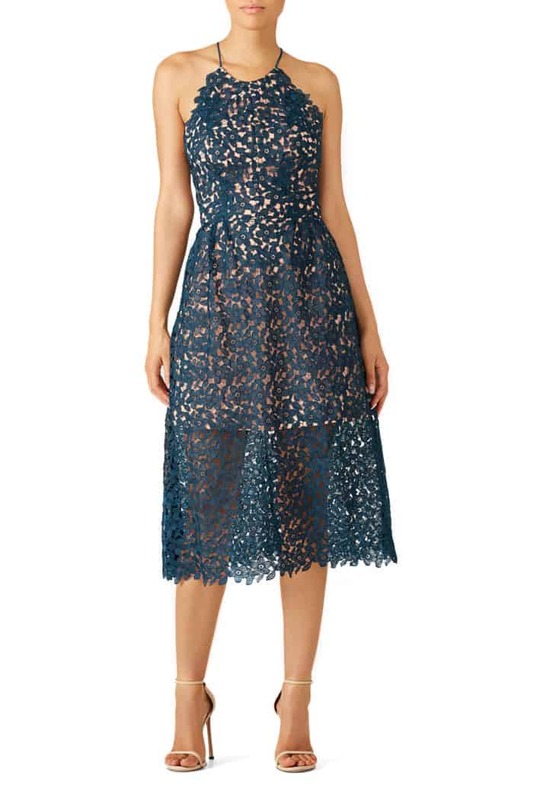 20+ amazing dresses to rent to wear to your next wedding, no matter what the dress code! 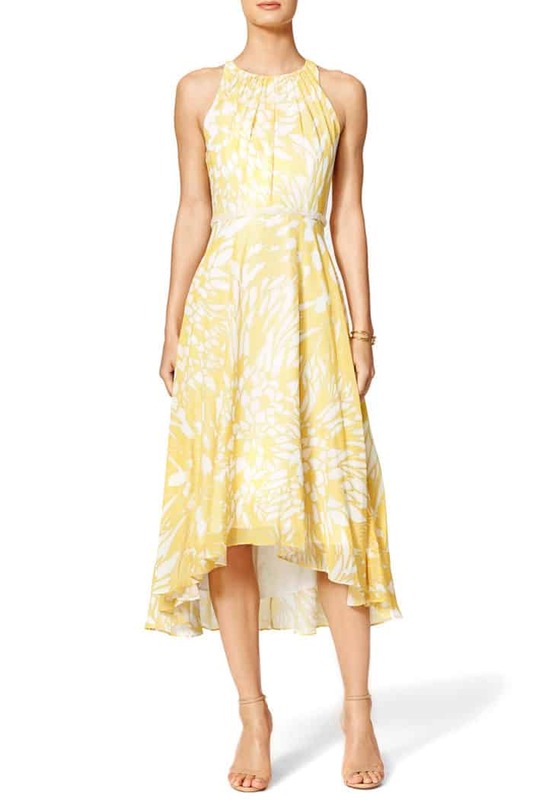 All the best dresses to rent from Rent the Runway. 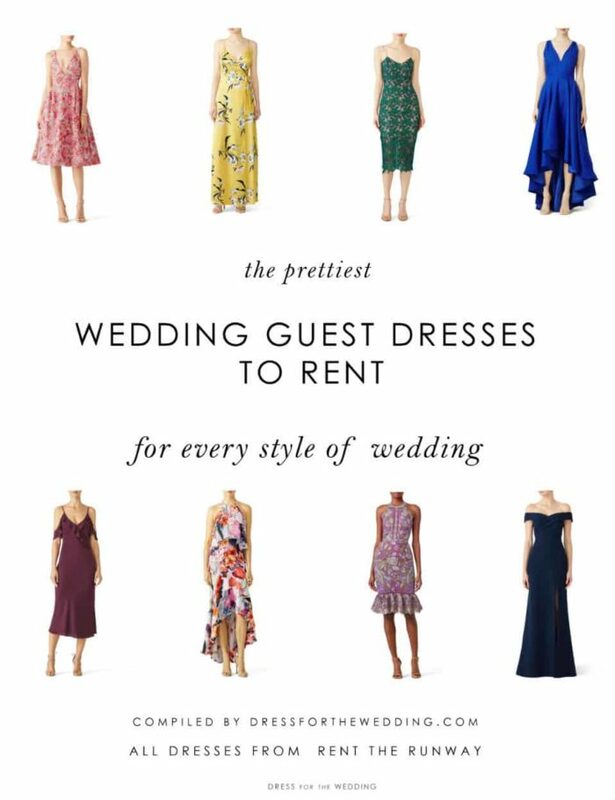 Rent the Runway is an affiliate sponsor of Dress for the Wedding, but has not directly paid for or requested this post. Shopping sources on this site use affiliate links, which means this site may earn a commission if you make a purchase from our links. If your summer calendar is full of weekends where you’ll be attending your friends’ weddings, you may be looking for a cute dress to wear! It can be a huge investment of time and money to find a outfit to wear to a wedding! 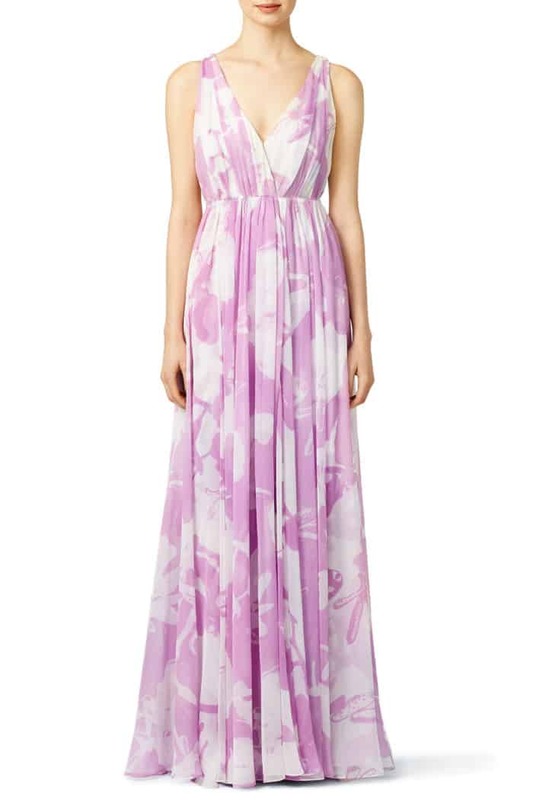 One of the ways I get through the busy – and pricey – seasons of events is by renting dresses to wear to weddings. I’ve used the services of Rent the Runway several times to rent dresses for speaking engagements and to wear to weddings! 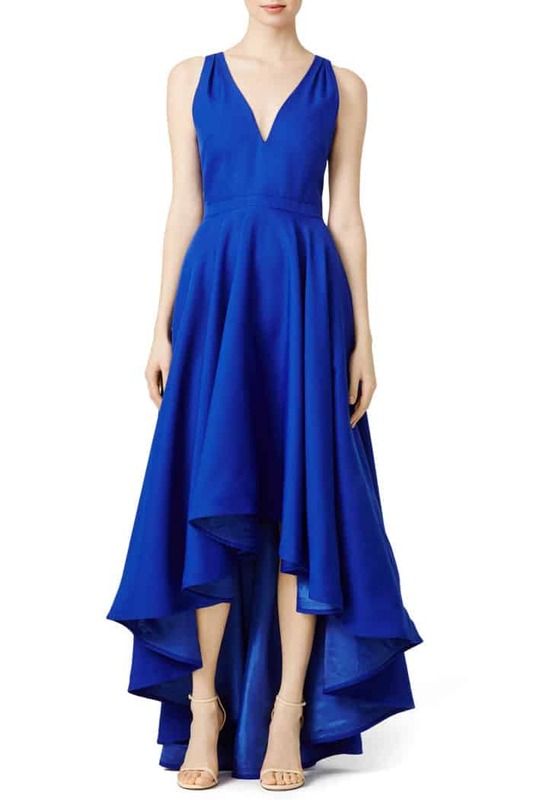 If you want to wear a designer dress, or need a high quality, showstopping dress for a wedding – especially if it’s a black tie event – one of my favorite plaes to go is Rent the Runway. 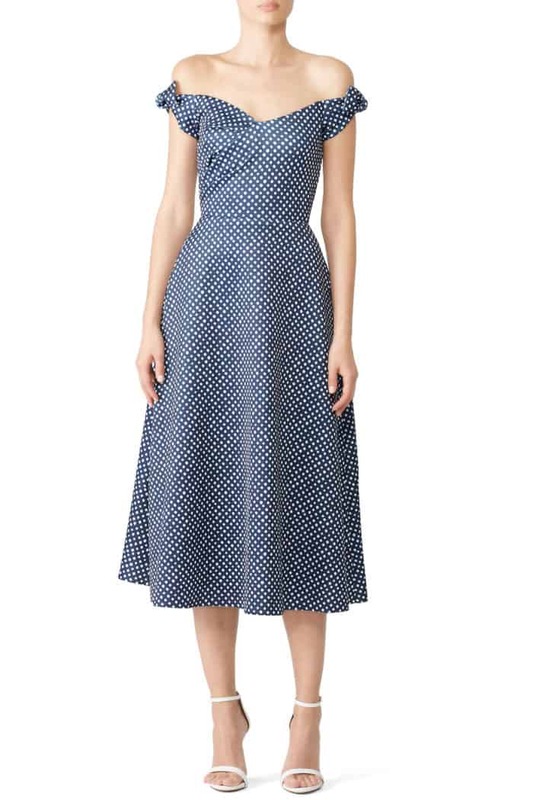 I very rarely get the chance to re-wear a dress these days.It seems by the time my next event comes up, the last dresses I’ve purchase are either out of season, often out of style, or are the exact dress the same group of people saw me wear to the event. 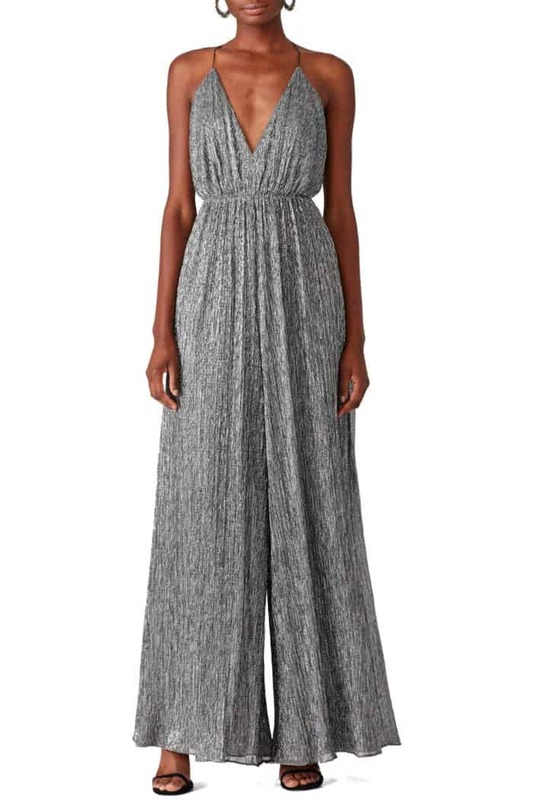 Rent the Runway allows for a new dress at about a third of the price of buying a new dress, and designer styles, which would never be in my budget, are about the price I’d spend on an average dress from a department store. It can be tricky to reserve the exact style you want during the busy wedding season, so browse and reserve early! Reading the reviews and fit notes of each dress is key! 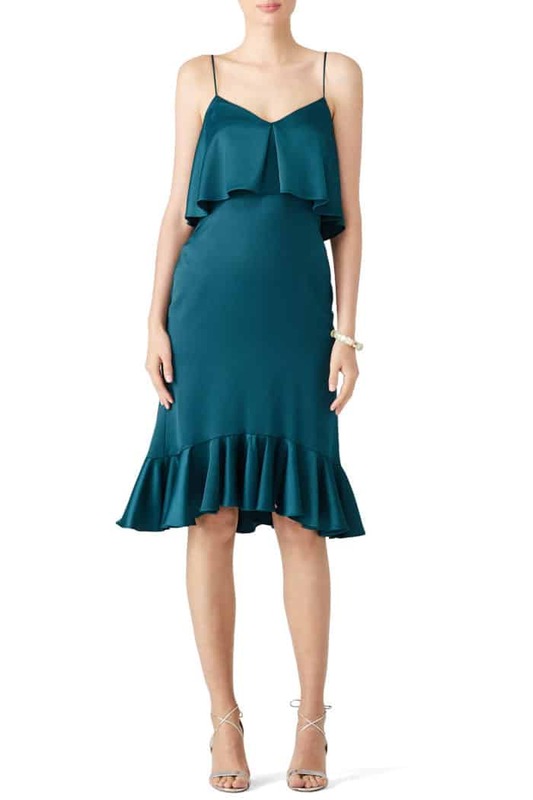 If you are stuck, try to find a reviewer with your similar body type, and see what they say about their experience with the dress. The customer service team is also helpful for this! I have also used their Unlimited program to rent dresses to try out well in advance, so that I know they’ll work when the event comes! 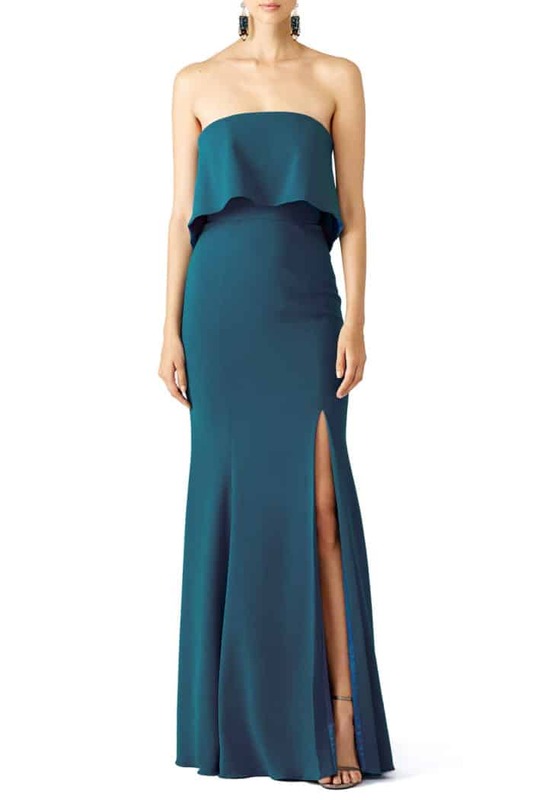 We’ve paired these favorite dresses to rent with suggested dress codes, venues, and seasons, but of course these dresses can do double or triple duty for all sorts of weddings, parties, and events! 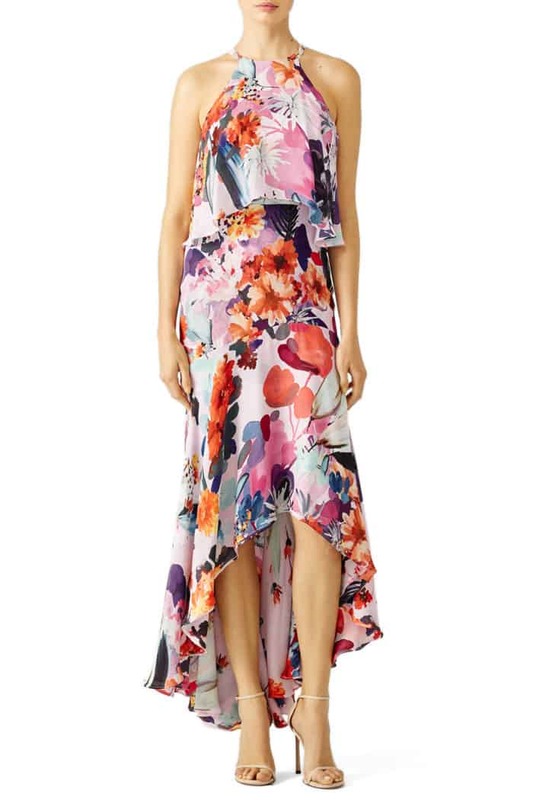 Find your favorite dress to wear to your next wedding or event below! 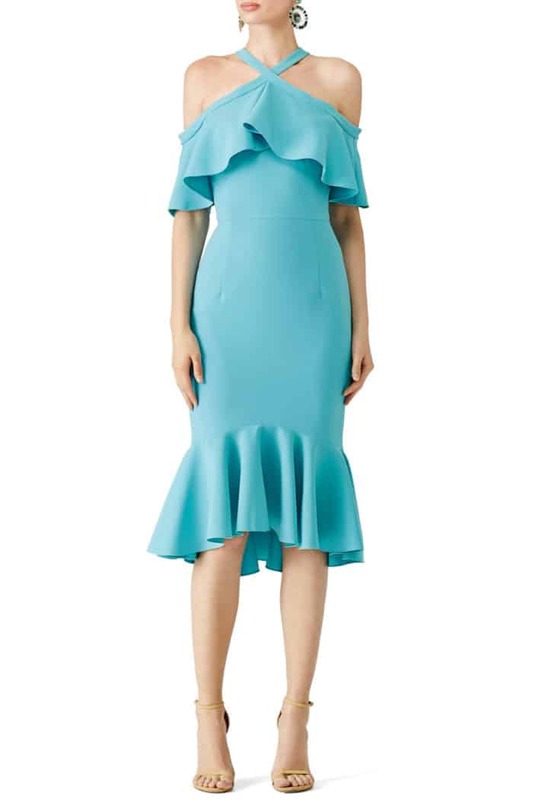 Are you someone’s plus one, or do you just want an excuse to wear a smoking hot dress that is still wedding appropriate? 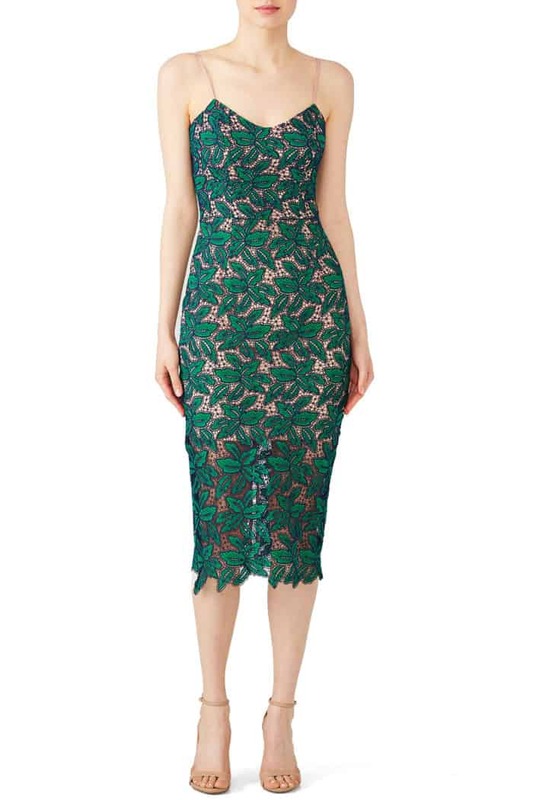 Try the Dress The Population Green Lace Aurora Dress– it’s great for nearly every season, and a classic style! Best of all the current rental price $30- 35. Heading to a barn wedding or something in the mountains or country side? 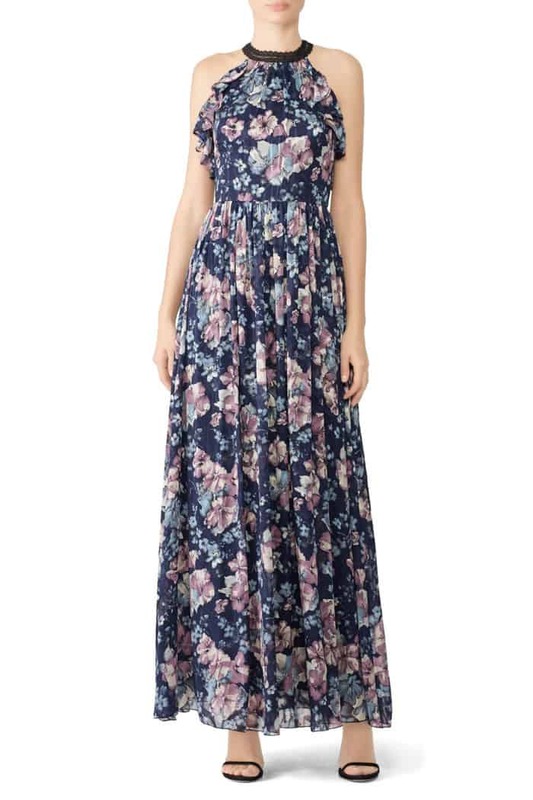 A semi-formal length maxi dress in a floral print is always a good idea! 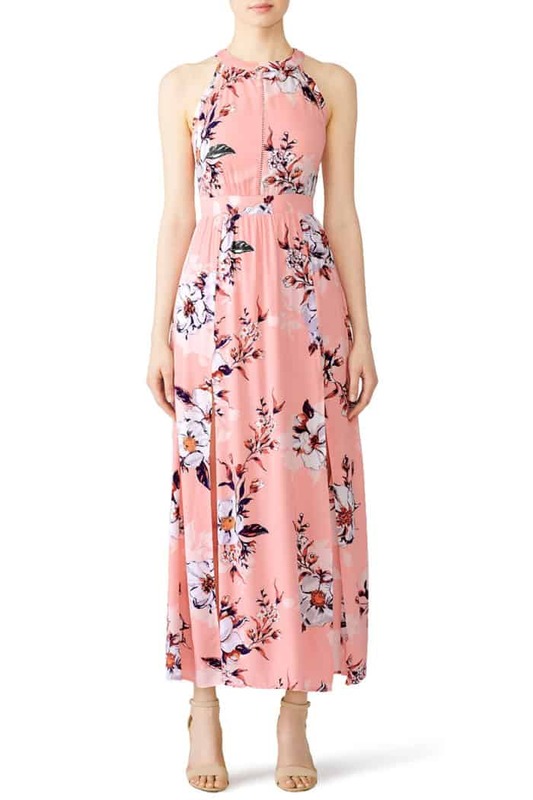 We love this dress, the Fleurtine Pink Floral Printed Maxi. There is sometimes a fine line between fabulous and flashy, this dress finds the exactly balance, and is firmly on the fabulous side, with jut the right amount of wedding appropriate sparkle and sleek silhouette. 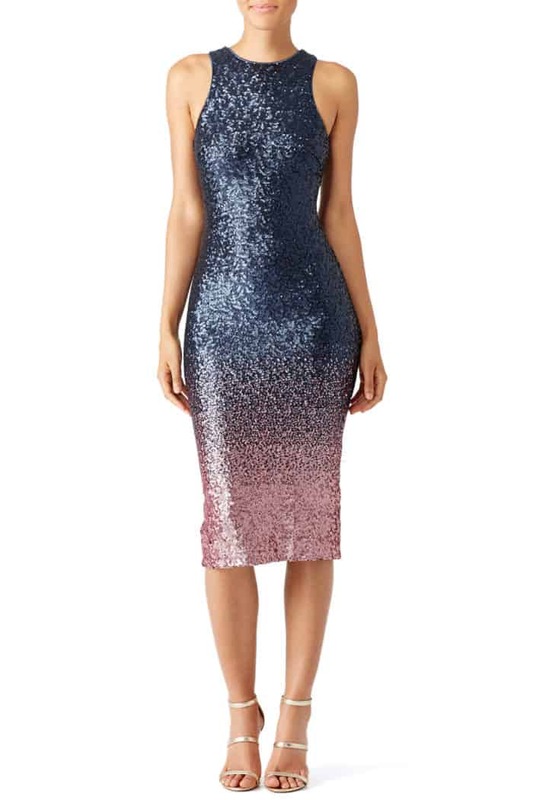 The Navy to pink ombre will make this sequin cocktail dress stand out in a sea of little black dresses at your next evening wedding. 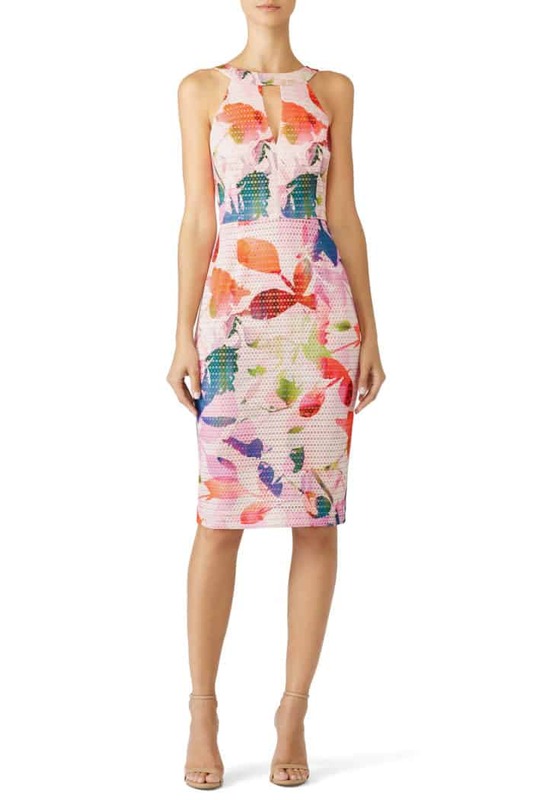 Dress the Population Navy and Pink ‘Shawn’ Sheath Dress. 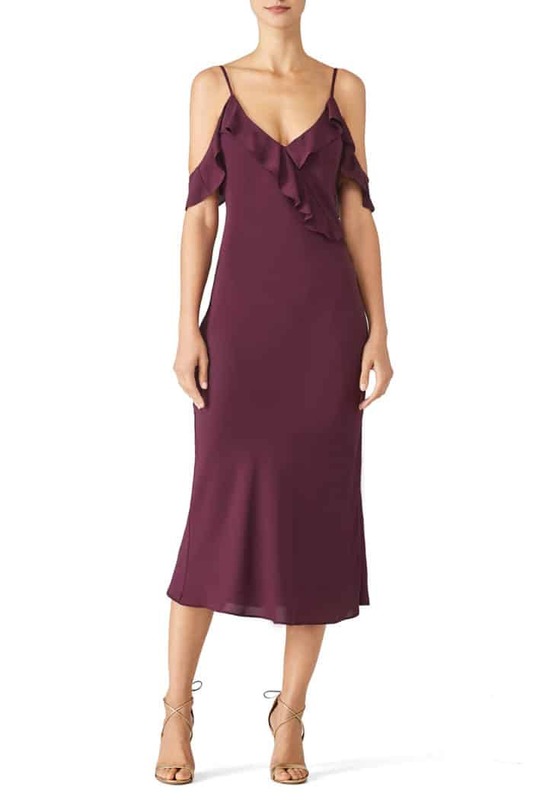 Chic for a fall wedding, this Amanda Uprichard Anika Midi Dress is a gorgeous color, and a favorite among renters! 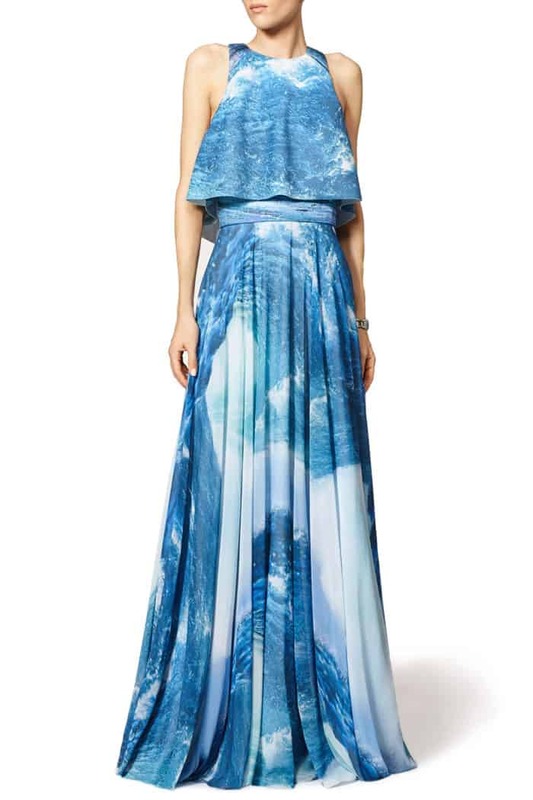 This is actually just the tip of the iceberg of offerings at Rent the Runway! We search there all the time, and still each time we visit we see a new fantastic dress to rent that we haven’t seen before! 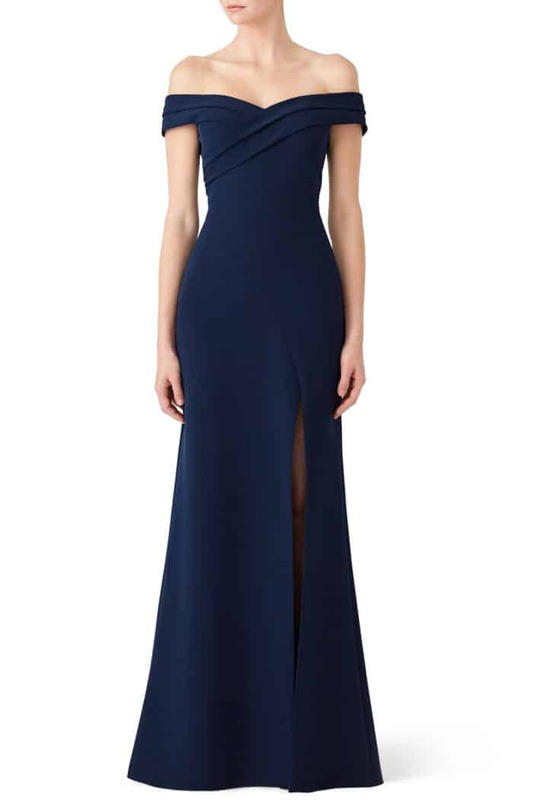 Reading the reviews and looking at the pictures is an excellent way to get a better idea of how the dress looks on you, and if it will be appropriate for the event you’re attending. 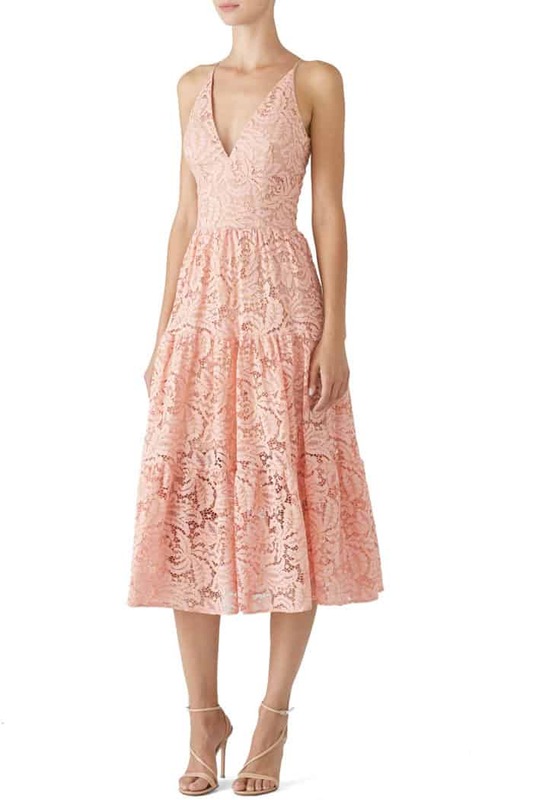 Here are some of the designers Rent the Runway carries, that we always look to for stylish, and appropriate dresses to wear to weddings. 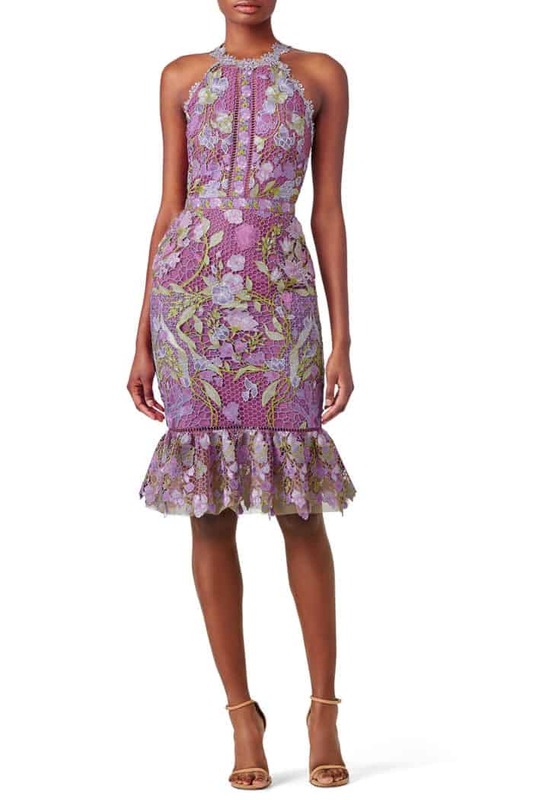 Likely for pretty modern dresses in gorgeous colors and sleek styles. 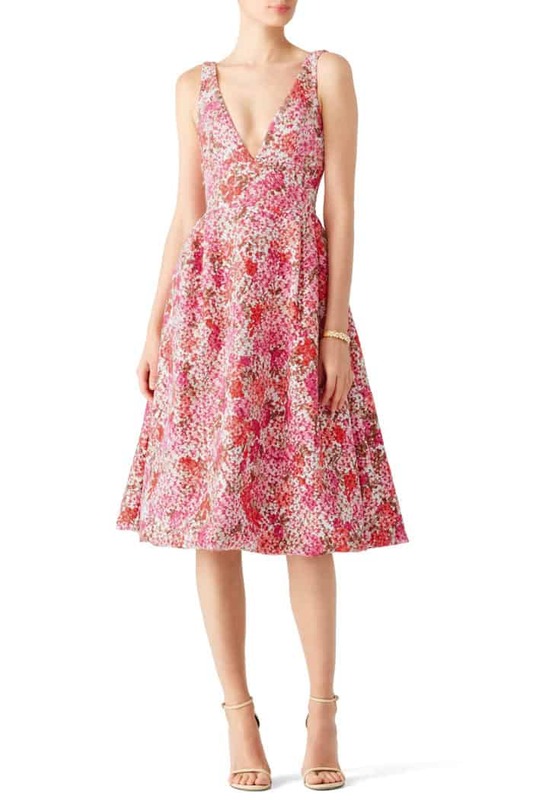 If you’re a bride to be or a mother of the bride, Rent the Runway is also a great option for all the dresses for the events leading up to the wedding or for the wedding itself! 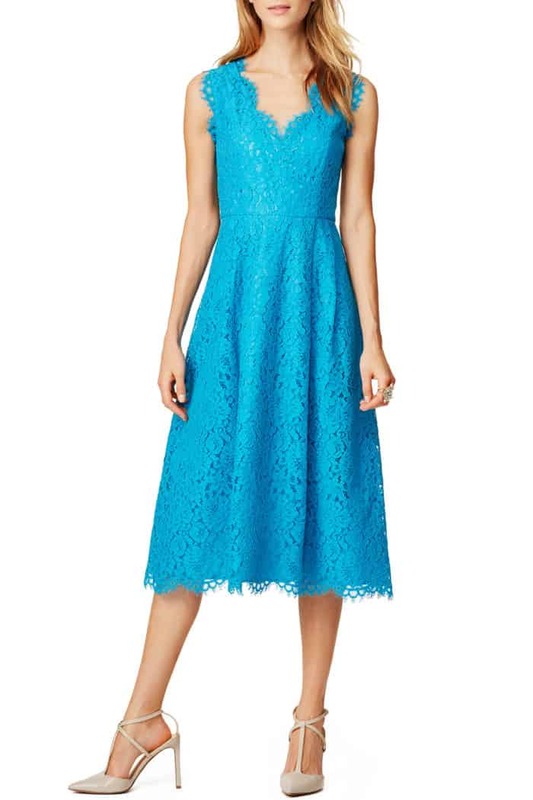 Rent the Runway makes it easy to find more dresses, just check out their list of dresses by occasion to find dresses by dress code, color, or time of day! Do you have any other wedding dress codes that have you stumped? Leave us a note on Instagram or Facebook, and we’ll try to decode your wedding dress code and find an oufit! 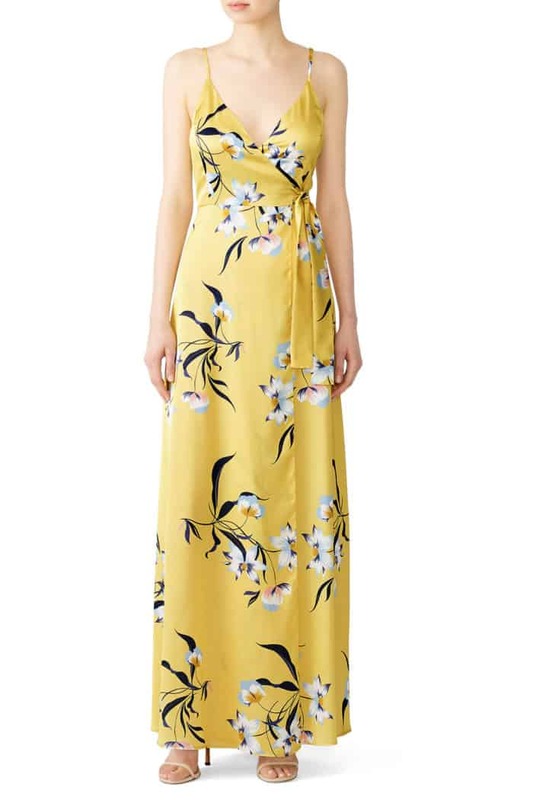 Also always check out our Summer Wedding Guest Dresses! 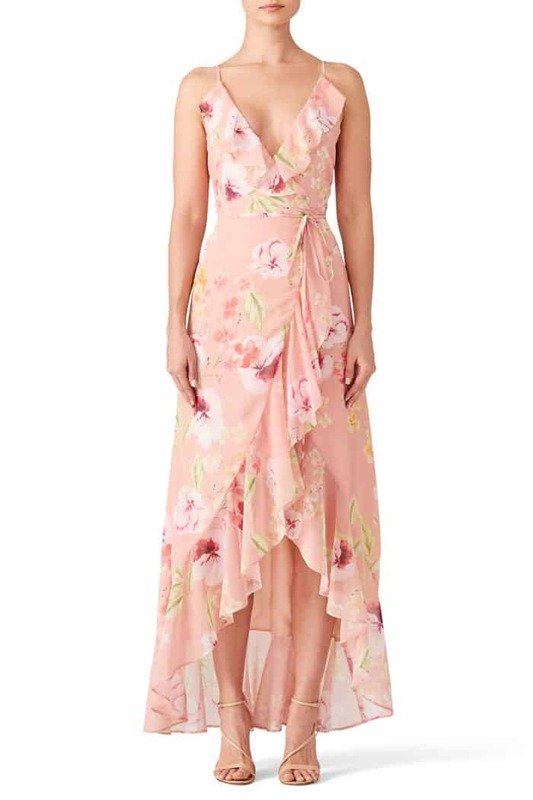 What Should a Guest Wear to a Rustic Wedding?